We show the love of Christ to the destitute and elderly. Local outreach instills and imparts a sense of identity of being a Christian believer by serving others. We are serving at the 3 nursing facilities of the care center which are local retirement community by visiting them, singing songs, praying and sharing the infallible truth along with our kids who are the elders enjoy visiting with Pflugerville Care Center, Heatherwilde Assisted Living, Heartland Health Care Center We are planning to expand our Local outreach by serving in soup kitchens, volunteering our time in AIDS Services of Austin and Hill Country Community Center. Our goal is to make a difference in peoples lives by reflecting Christ’s love and drawing people to experience the GREATEST GIFT of Christ himself in the greater Austin area. Prem Milan is a group that fosters a sense of Indian community for both undergraduate and graduate students that come from India to UT campus. Of course students that come from anywhere in South Asia are also welcome to join this group. We will have monthly meetings at the Longhorn Baptist Student Center to discuss on various topics that are near and dear to the growing Indian community. This includes adjusting to life in the U.S., exploring scholarships, finding jobs, faith, music, social injustice causes to support in India, connecting with the Indian community in Austin, as well as other topics. There will always be Indian food (free to students) at our gatherings. Occasionally there will be music during these events as well. This group will also have concerts (such as Aradhna (www.aradhnamusic.com)) and other interesting events that will enable students to experience the richness and significance of faith and culture in their daily lives. We look forward to seeing you at our meetings! Bro. Anupam Macky and Sis. Rachel are faithfully helping in Ministry Developer Network in Siliguri, North east India holding local church-based training for church leaders and Christian workers. Mininstry Developers Network involves the local church in training its own leadership. Students are involved in the church while they are in training. Ministry Leaders Network is in the ministry of serving church leaders, both lay leaders and vocational ministers, who are called by God and confirmed by the church rather than those who claim to be called or hope to be called once they graduate from a seminary. Ministry Leaders Network provides a context for modeling evangelism and discipleship. Bro. Reny and Sis. Teena George are faithfully leading the ministry in Prison fellowship of India. PFI ministers in prisons and in the community to ex-prisoners, victims and their families. PFI works in its advancement of biblical standards of justice in the criminal justice system. There are 156 children in their Precious Children Home for prisoners children. Activities at Central Jails and regular jail visits are continuing. The families of transformed ex-prisoners are meeting in our Rehabilitation Centre for Sunday worship & Wednesday Bible study. The prisoners on parole too attend the meetings, especially Sunday service. Dr. R.A.C. Paul in 1967 and his wife Dr. Iris Paul in 1972 started the work at Malkangiri District / Province of Odisha State following a specific call from God. RHS extensive ministry covers work in the 926 villages consisting of 10 Tribal groups. RHS is involved in the field of health, education, prisoners rehabilitation in 4 Jails and Tribal empowerment. Promiseland Orphanage was started by Rick and Radha White in 1997. They opened its doors to abandoned children. Today, there are thirty children living at two locations: The Promised land Orphanage in Coimbatore, India, and the Deborah Project, which is a branch of the Promisedland ministry. The thirty children (and growing) in the orphanages are taken care of by nine dedicated staff members. Deborah Project cares for eight children. The orphanage is working to rescue female infants from being killed because of the culturally ingrained practices of their family members who are poverty-stricken and spiritually blinded. In January 1965 Indian Evangelical Mission (IEM) was found by Rev Dr Theodore Williams. With one missionary, a few hundred rupees and a bicycle, this Faith Mission grew. Christians saw growth and vitality in the Mission as it blossomed into a vital tool in the hands of God, eager to fulfill the Great Commission, in letter and in spirit. From one missionary, it has grown now to family of 580 missionaries and office staff. We support Bro. Samuel and Sis. Gladys missionaries in Tamil Nadu. They help in equipping men and women by conducting Bible studies, outreach, house visitation and Sunday worship services. Pastor Somaiah who was a Hindu and he came from Hindu family. He came to Hyderabad from a village Thota Gudem, Andhra Pradesh in year 1966 because of employment. He married Sis. Jaya Lakshmi who was also a strong Hindu goddess devotee. They heard about Jesus Christ and received Him as personal Lord and Savior. In obedience to God’s call upon their lives, they resigned their jobs in Hyderabad and moved to a very remote village, Nimmapalli in Andhra Pradesh. It was the origin place for Naxalites, and still is. He started his ministry of preaching and teaching in 1978, beginning in a cow shed with less than 10 people. The people in that region did not know about Lord and it was an under developed area. Nimmapalli people were illiterate and witch crafts were predominant. Through the following years Lord delivered many demon possessed people, many were healed and church began to grow. Pastor Somaiah preaches gospel and Sis. Jaya Lakshmi sings gospel songs. They did God’s ministry on foot for 26 years in 32 surrounding villages with in 40 sq.miles. They love the poor, they take the sick to the nearest available hospital, supply first aid medicine, they teach how to get along with one another, teach how to maintain hygienic surroundings and good health, they conduct basic classes for children and adults and train people to read bible. They conduct medical camps for poor by inviting nearby doctors. They have been doing ministry in the same region for the past 35 years. Lord changed people hearts and attitude, so that Christian population gave such a good impact on local non-Christian community. By God’s grace, Christian population who were minority became as majority. Independent Church groups have been established in 32 villages and most of them are house churches. Because of the church growth there is a need to build permanent church buildings. They equip men and women and send youth to bible training colleges. They conduct fasting prayers, all night prayers, gospel meetings and Christian family conferences. As they grew old, now they take care of only 5 churches and they appointed pastors/elders in all other villages. The vision is to baptize people and planting churches. Compassion International is a Christian child development organization dedicated to releasing children from poverty. So, they work through local churches to provide child development programs. Apart from sponsoring children in extreme poverty, they have other programs like Rescue Babies & Mothers, Develop a Future Leader & Meet Critical Needs like Disaster Relief & Stability (ex. Provide Clean Water), Health & Medical Needs (ex. Malaria Intervention) & Education Needs (ex. Books, supplies and fees for tests and labs). Founded by the Rev. Everett Swanson in 1952, Compassion helps more than 1.2 million children in 26 countries.  The ACFI Sunday school through childrens offering support Mahendra SelvaKumari. Christian Evangelical Fellowship Mission (CEFM) was formed by Apostle. Selvaraj in the year 1997, with a great vision and mission in and for INDIA. The “Vision Man” – of CEFM, was from a Hindu family. Being received the Eternal life he came out with the thirst for the perishing precious souls of INDIA and send missionaries to the (very deep villages) of the South Indian States where the Gospel has not yet reached. © 2019 Austin Christian Fellowship of India. ALL RIGHTS RESERVED.